Our Plymouth party limo bus is going to prove to be the best location for your party no matter what it is that you and your guests are going to be celebrating. In fact, as soon as you see what our party limo bus has to offer, then we can guarantee that you are going to be more than happy with the location and your ability to have an amazing party that will be crammed full of amazing memories. 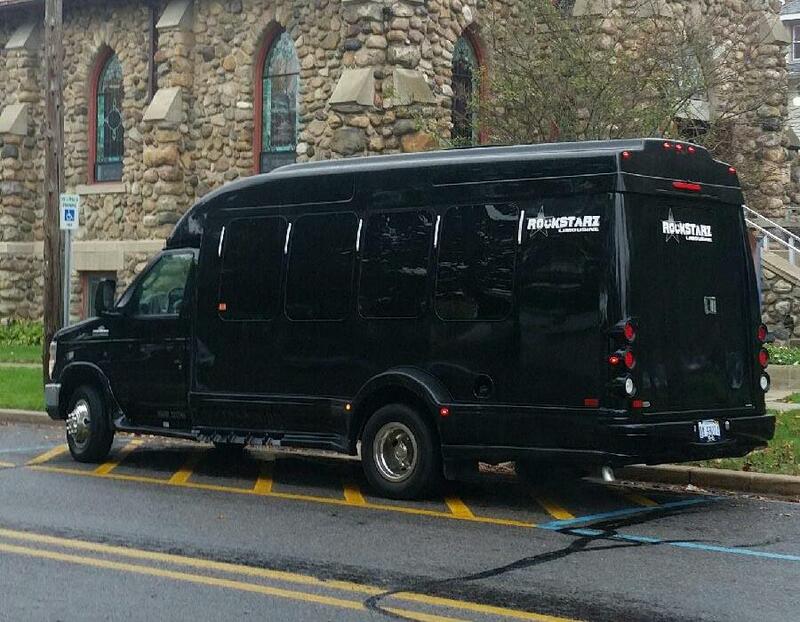 Previously, our party limo bus has been hired for a variety of reasons. No matter if you are looking at a special birthday, anniversary, a bachelor or bachelorette party, or perhaps even just wanting to get some friends together for something a little bit different, we can help. For us, it is all about providing you with a wonderful setting for your party as we would rather leave the celebrating up to you and your guests. As you first set eyes on our party limo bus, you will instantly know that you are in for a wonderful time in our company. Our bus is going to act like your very own nightclub and provide you and your guests with the perfect space to just let your hair down and enjoy yourself as you cruise around Plymouth. In order to help you out with all of this, we have made sure that our party limo bus is very well equipped in every aspect. This goes from the luxury seats where you can just rest when having a break from the rest of the party, all the way through to the equipment on board that has been specifically included to create a stunning atmosphere that you are just not going to believe. Let’s be honest here, you cannot have a party without an atmosphere, and if you thought that it would be lacking when you are just on a limo bus, then you would be wrong. Instead, thanks to the high quality sound system that is on board mixed in with a laser light display that is unlike anything else you will have encountered. Our overall aim is to always give you the perfect setting for your celebrations, and do not forget that the driver is also there to help should you be unhappy with something. This is your time to sit back and enjoy yourself and to leave the running of the venue to us. So, if you live in the Plymouth area and would like to experience our party limo bus, then all you need to do is to contact us via our website or by calling our number and see how we can help. We promise that you and your guests will have the time of your life from start to finish.